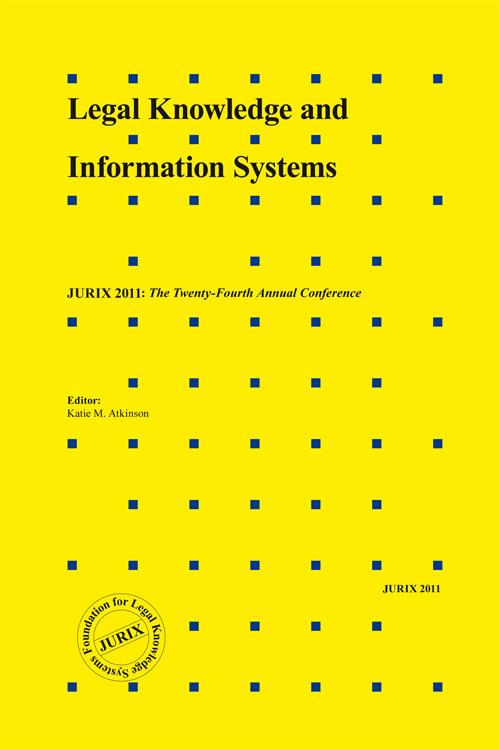 The twenty-fourth edition of the JURIX conference will be held in Vienna, Austria on December 14th–16th at the University of Vienna’s Centre for Legal Informatics. The submissions for this volume come from authors from 18 different countries, showing the international appeal of the topic and conference. These proceedings comprise 12 full papers, 7 short papers and 3 research abstracts. The papers span a wide range of topics on the advanced management of legal information and knowledge, and cover foundational theories as well as developed applications. Covered by the papers is work on: the analysis of court decisions; argumentation and proof standards; information and rule extraction from legal texts; permissions; compliance controls; precedents and legal stories; the structure of law; relevance and authority in law; online dispute resolution; measuring the evolution of the law; applications for legal education; data privacy; and conceptual models of legal reasoning for AI applications.